Well, these are questions our talented writers have answered. With the help of wonderful volunteers, our writers have created some of the most inspired stories about where these symbols came from. We combined different shapes—jagged, rectangular, curved—with movements—plummeting, bending, staggering—to create images and stories about the symbols we use every day as writers. Enjoy! In this workshop, we considered everything we knew to be true and we threw it right out the window! We used satire to twist our ideas around in sarcastic ways and created a real live and really strange encyclopedia. You may be surprised at what you learn. You may even disagree at times. Or, you may find the truth you’ve been looking for all along. We’ve reinvented history, and maybe even the way you think. Enjoy! Using the hilarious antics and adventures of the beloved Calvin and Hobbes comic strip as inspiration, we practiced writing puns and poems, we used figurative language, sarcasm, and other complex language concepts and forms to write short stories. Click on the link below to read them. Prepare to laugh until it hurts! 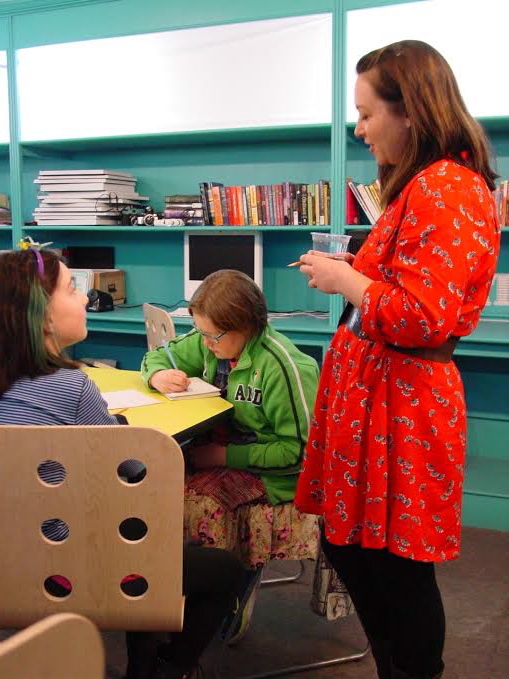 Summer Writing Camp — June! 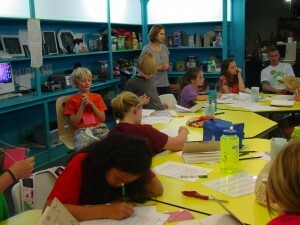 We just finished up our June Summer Writing Camp — Adventure Tales and Survival Stories! 13 kids from Denver (who all love to write! ), 1 fantastic lead instructor, and 4 happy volunteers trekked all over Denver looking for inspiration for our stories, and we can’t wait to show them to you! 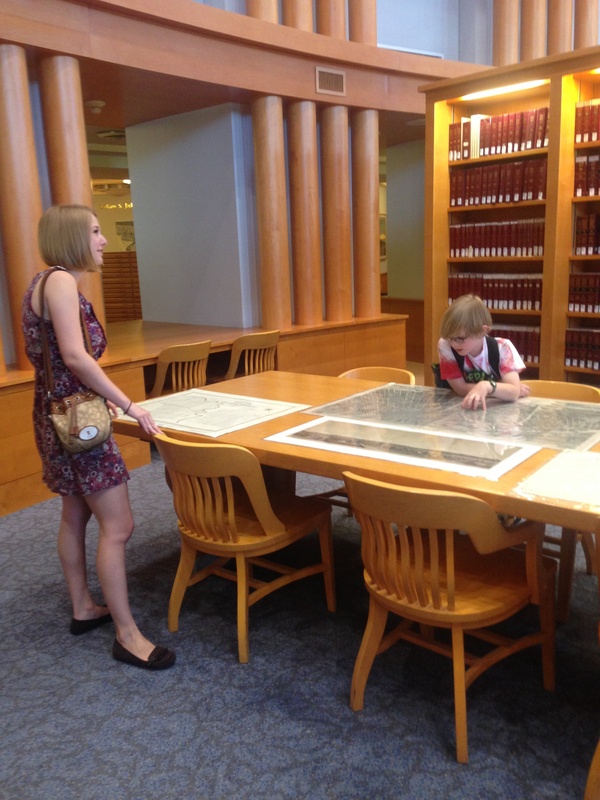 We went to the incredible Maps and Atlases room at the Central branch of the Denver Public Library — seriously, have you seen it? If not, call the library and go visit it asap. It’s amazing. 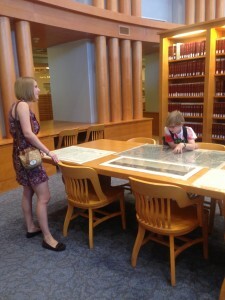 We got to see the oldest known maps of Denver, which were fascinating. Many students used the maps as inspiration for the setting in their own stories. We got to visit the History Colorado Center and experience a simulated Dust Bowl storm. Students thought about what it would be like to survive in a scary situation — what would they need? How would they stay safe? What scary situation/villain/conflict would happen in their story? We also got to make our own rope and practice our ski jumps — some of us did better than others (on the ski jump). We didn’t want to leave, but we had to so we wouldn’t miss our bus. 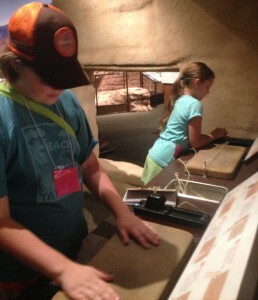 It’s so much fun taking a group of kids to a museum and having to force them to leave because they really want to stay! We also visited (and had a blast at) the Denver Museum of Nature and Science and the Denver Museum of Miniatures, Dolls, and Toys. 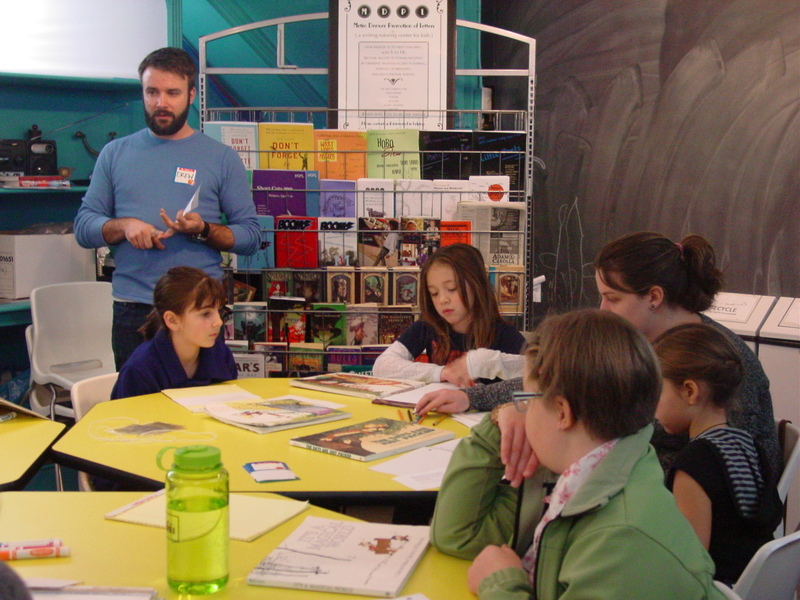 On Friday, Adam visited us and taught us how to make our books, and students created their own covers. 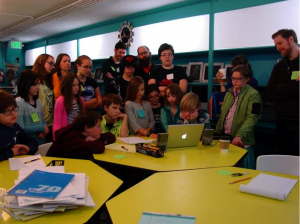 Our anthology from camp will be published on our website soon, so please check back! And now, we gear up for our July camp for kids ages 12-15 (July 14-18). We can’t wait! If you’re interested in attending this camp, please contact us and we’ll send you the application. Here’s to reading, writing, and finding your creative space! Hello Friends, Family & Volunteers of Metro Denver Promotion of Letters! If you are reading this blog, you must’ve noticed our big news, but we wanted to explain it a little more clearly to you. Metro Denver Promotion of Letters is now Denver Writes. After many months of planning and working, we’re ready to launch Denver Writes into the world. We will never forget our roots, so you’ll still our MDPL logos around our spaces and pages, but all of our programming will live under the name Denver Writes. Our mission is to provide kids in the Denver area with a creative outlet through writing, and Denver Writes embodies exactly what we do and how we do it. Our new name is short and sweet, and we hope that all of you—volunteers, participants and parents alike—will love it as much as we do. All of our programming will stay the same (or, rather, continue to get better and better!) and nothing in our space will change except our logos and name. We still believe that serving the community and being an accessible outlet for creativity is incredibly important, and we will continue to work to make this happen. If you have any questions, concerns or comments about our name change, please e-mail us or leave us a comment.